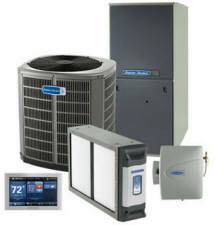 Ashman-Gordon was recommended to me by a local Smith Mountain Lake property management company when I had a sudden breakdown of my air conditioner just before my summer rental season was to begin. We were in a bit of a panic. When Ashman-Gordon was called, we received great advice on a new high efficiency system with fast and competent installation at a fair price. This all took place in 2009, and we continue to use and recommend Ashman-Gordon for our ongoing maintenance and service needs. We arrived home from the hospital on one of those 100 degree days this summer to find that our AC was out. After calling several companies and getting absolutely no response, I called a friend to see who serviced their system. She recommended Ashman-Gordon Heating, Air, & Electrical. Not only did they respond to our call, but came to the house within two hours and had us up and running within 30 minutes of their arrival. By the way, did I mention this was on a SUNDAY? The Ashman-Gordon service tech was not only friendly and concerned, but knowledgeable and efficient. We are now Ashman-Gordon customers for life. It is with great pleasure that we pen this recommendation for Ashman-Gordon Heating, Air, & Electrical. When our Central Air went out the summer of 2010, it was one of the hottest on record. We desperately contacted several companies but decided that Ashman-Gordon was the best fit for us. This was mainly due to the experience, the professionalism, and the expertise and knowledge of products within the industry. This company was not interested in padding its pocketbook, but truly helping us save on our energy consumption and providing quality products to help us meet all of our needs. After thorough inspection of our entire home, and drawings drafted to identify the new modifications, it was determined that our ventilation configuration was not adequate and new duct work and piping would be needed. The scope of work would be several weeks and would be a daunting challenge due to the working environment of 95 to 100 degrees everyday as well as the extensive labor involved in the project. Ashman-Gordon tackled it effortlessly, without complaint. The crew was respectful in every aspect and went out of their way to minimize the typical construction demo and mess it normally creates. There was never a moment in which we felt like we had made a mistake hiring this company. It was a refreshing reminder that there are still people who operate a business with moral integrity and ethical fiber. We have had several questions about the system and someone was always willing to explain to us, and even come by to make sure things were ok with us and their product. Our energy bills have been cut in half and we still cannot believe it! This is a company that just cannot be beaten in any capacity of their business from customer service, to knowledge to credibility. To say they truly want to establish themselves as a company who cares and goes above and beyond is simply an understatement. We are honored to have met such a distinguished owner and staff and are proud to call them friends. Danny, Erin and JD from Ashman-Gordon have far exceeded all my service expectations. They are helpful, easy to reach, and have been able to schedule service around my crazy schedule. They installed a new Lennox unit at our home several years ago. We had several companies quote for the job and Ashman-Gordon was the most affordable and offered the shortest lead time for installation. They installed it within a couple of days so I could take advantage of a special Lennox rebate. 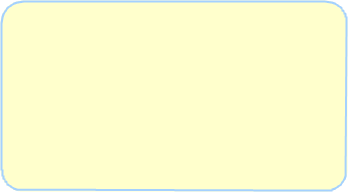 Now they remotely monitor our unit to let us know when filters need to be changed, etc. This company is a pleasure to deal with. They really go above and beyond to make sure their customers are happy and satisfied. Reliability you can count on, friendly service you can trust...Ashman-Gordon Heating, Air, & Electrical has been providing excellent service on my heating and air conditioning system since 2007. When I decided that my 20 year old system needed to be replaced, Ashman-Gordon gave me not only the best quote, but the installation was completed and the system up and running in less than a day. The new system has saved me a bundle on my electric bill. I'm a very happy lady. 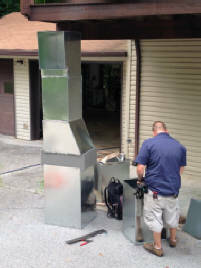 I am very pleased wtih Ashman-Gordon and the installation of our new heating system. The techs that installed the new heat pump were courteous and polite. I would recommend Ashman-Gordon to all our friends and neighbors. Ashman-Gordon has always provided top honest service anytime I call. I don't have to wait days either. they are very prompt and trust worthy in my home and other locations with out me being there. Their pricing is always w/in reason for whatever the issue and they always call before proceeding to update the problem. I definitely recommend Ashman-Gordon to everyone. My husband and I have dealt with Ashman-Gordon Heating, Air, & Electrical for several years and can't say enough for their prompt and excellent service. 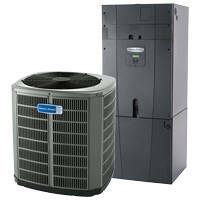 With several rental units with heat pumps, they have always answered our needs quickly and with satisfaction. At our home we had Ashman-Gordon install a wall hung room air conditioner in an all glass sunroom, and it works perfectly and has saved on our electric bill even in the hottest weather. I would recommend one of these units to anyone. The employees are pleasant and clean with their work. If you are one of our customers, would you mind taking time to fill out a brief survey? Click here if you can.